Top row, L-R: Greg Maddux, Tom Glavine, Frank Thomas. Bottom row, L-R: Bobby Cox, Tony La Russa, Joe Torre. Elections to the Baseball Hall of Fame for 2014 proceeded according to rules most recently revised in July 2010. As in the past, the Baseball Writers Association of America (BBWAA) voted by mail to select from a ballot of recently retired players, with results announced on January 8, 2014. The Expansion Era Committee, one of three voting panels that replaced the more broadly defined Veterans Committee following the July 2010 rules change, convened early in December 2013 to select from a ballot of retired players and non-playing personnel who made their greatest contributions to the sport after 1972, a time frame that the Hall of Fame calls the "Expansion Era". The induction ceremonies were held on July 27, 2014 at the Hall of Fame in Cooperstown, New York. On the day before the actual induction ceremony, the annual Hall of Fame Awards Presentation took place. At that event, the Hall presented two awards for media excellence—its own Ford C. Frick Award for broadcasters and the BBWAA's J. G. Taylor Spink Award for writers. In addition, the Buck O'Neil Lifetime Achievement Award was also handed out; under the rules for that award, last presented in 2011, it may be presented no more frequently than every third year. The plaques of the Class of 2014 at the Baseball Hall of Fame. Candidates from the 2013 ballot who received at least 5% of the vote but were not elected, as long as their first appearance on the BBWAA ballot was in 2000 or later. Individuals chosen by a screening committee whose last game appearance was in or before 2008. All 10-year members of the BBWAA were eligible to vote, and had until December 31, 2013 to return their ballots to the Hall. The ballot consisted of 17 of the 18 candidates who received at least 5% of the vote in the 2013 election, plus 19 first-time candidates. (The other candidate who received 5% or more of the 2013 vote, Dale Murphy, dropped off the ballot after 15 years.) Voters were instructed to cast votes for up to 10 candidates. Under BBWAA rules, write-in votes were not permitted. Results of the 2013 election by the BBWAA were announced on January 8, 2014. A total of 571 ballots were cast (including one ballot which supported no candidates), with 429 votes required for election. A total of 4,793 individual votes were cast, an average of 8.39 per ballot. According to former BBWAA president Bill Shaiklin, 50% of all voters filled out all 10 available slots on their ballots, up from 22% in 2013. Any candidate who received votes on at least 75% of the ballots would be inducted. Those candidates who received less than 5% of the vote will not appear on future BBWAA ballots, but may eventually be considered by the Veterans Committee. Candidates who were eligible for the first time are indicated here with a †. The candidates who received at least 75% of the vote and were elected are indicated in bold italics; candidates selected in subsequent elections, if any, will be indicated in italics. Jack Morris was on the ballot for the 15th and final time. Elected subsequently, as of 2016 (named in plain italics). Renominated for the 2015 BBWAA election by adequate performance on this ballot. The newly eligible candidates included 28 All-Stars, 12 of whom were not on the ballot, representing a total of 83 All-Star selections. Among the candidates were 10-time All-Star and 2-time Cy Young Award winner Tom Glavine, 8-time All-Star and 4-time Cy Young Award winner Greg Maddux, 6-time All-Star Moises Alou, 5-time All-Star and 2-time MVP Award winner Frank Thomas, 5-time All-Star and 1-time MVP Award winner Jeff Kent, and 5-time All-Stars Luis Gonzalez. The field included 1995 NL Rookie of the Year Hideo Nomo, two MVPs (Kent and Thomas), three Cy Young Award winners (Glavine, Maddux and Éric Gagné). The field included four candidates with at least five Gold Glove Awards: Maddux (18 at pitcher, a record), Mussina (7 at pitcher), Kenny Rogers (5 at pitcher) and J. T. Snow (6 at first base). 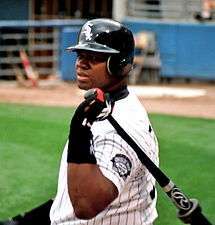 Due to the steroid issue and a general lack of consensus, the following players will probably be on the ballot in three years: Barry Bonds, Roger Clemens, Pedro Martinez, Randy Johnson, Sammy Sosa, Jeff Bagwell, John Smoltz, Edgar Martinez, Mark McGwire, Mike Mussina, Jeff Kent, Larry Walker, Alan Trammell, Fred McGriff, Rafael Palmeiro, Lee Smith, Tim Raines, Gary Sheffield, Mike Piazza, Curt Schilling and, of course, Bernie [Williams]. That's 21 players who warrant serious consideration. And that's not counting Barry Larkin, who might be [Ed. – and was] elected this year, and also assuming Greg Maddux, Tom Glavine, Craig Biggio and Frank Thomas make it their first years on the ballot. Finding room for Bonds, Clemens, Pedro, Johnson and others means I'll have to dump more good players from my ballot than the Marlins dumped after winning the 1997 World Series. Several other players returning from the 2013 ballot with otherwise-strong Hall credentials have been linked to PEDs, among them Mark McGwire (who admitted to long-term steroid use in 2010), Jeff Bagwell (who never tested positive, but was the subject of PED rumors during his career), and Rafael Palmeiro (who tested positive for stanozolol shortly after denying that he had ever used steroids). Players who were eligible for the first time who were not included on the ballot were: Tony Armas Jr., Gary Bennett, Joe Borowski, Jose Cruz Jr., Mike DiFelice, Damion Easley, Scott Elarton, Shawn Estes, Sal Fasano, Keith Foulke, Scott Hatteberg, Geoff Jenkins, Jason Johnson, Ray King, Jon Lieber, Esteban Loaiza, Kent Mercker, Matt Morris, Trot Nixon, Abraham Nunez, Odalis Perez, Tomas Perez, Mark Redman, Alberto Reyes, Ricardo Rincon, Dave Roberts, Rudy Seanez, Shannon Stewart, Tanyon Sturtze, Mark Sweeney, Salomon Torres, Steve Trachsel, Javier Valentin, Jose Vidro, Daryle Ward, and Dmitri Young. Following the vote, a number of writers expressed concern about what they viewed as a flawed election process. It wasn't exactly a perfect day for any of us who care about this process, because it sledgehammered home this painful reminder of the enduring Hall of Fame crisis of the 21st century: We still have no idea how to resolve the fate of many of the greatest players of all time. Now do we?...Is this what we want -- a Hall that attempts to pretend that players who just happen to hold some of the greatest records in the entire record book are now invisible to the naked eye? Short of dropping the required share of the vote well below 75 percent, I think there's a good chance that the voters' failure to elect candidates who not only match but raise the bar on existing inductees has put us in an intractable position. That position will leave many obviously worthy players at the mercy of the Expansion Era Committee, or whatever the veterans committees will be called 10 or 12 years from now. And not to be overly dramatic about it, but there's a reasonable chance that some of those players will either never make it in or be dead by the time they do, the way Ron Santo was when he got his long-overdue induction. It was also revealed that voter Dan Le Batard had allowed Deadspin to use his vote. The website was protesting the "absurd election process" by submitting to BBWAA the results from a poll of its readers. He was subsequently permanently stripped of his Hall of Fame voting privileges. The eleven BBWAA-appointed Historical Overview Committee members were Dave Van Dyck (Chicago Tribune); Bob Elliott (Toronto Sun); Steve Hirdt (Elias Sports Bureau); Rick Hummel (St. Louis Post-Dispatch); Bill Madden (New York Daily News); Ken Nigro (formerly Baltimore Sun); Jack O'Connell (BBWAA secretary/treasurer); Tracy Ringolsby (Fox Sports Rocky Mountain/MLB.com); Glenn Schwarz (formerly San Francisco Chronicle); Claire Smith (ESPN); and Mark Whicker (Orange County Register). The ballot for election by the Expansion Era Committee was released on November 4, 2013, and the Hall of Fame announced the results on December 9. The cutoff for election and summer 2014 induction remains the standard 75%, or 12 of 16 votes. Dave Concepcion, Steve Garvey, Tommy John, Billy Martin, Marvin Miller, Dave Parker, Dan Quisneberry, Ted Simmons and George Steinbrenner each received six or fewer votes. The Expansion Era Committee's 16-member voting electorate, appointed by the Hall of Fame's Board of Directors, was announced at the same time as the ballot of 12 candidates. The Hall officially calls this group the "Expansion Era Committee", but media still generally refer to it as the "Veterans Committee". Players eligible for the first time who were not named on the ballot include Bob Boone, Bill Buckner, Dwight Evans, Keith Hernandez, Fred Lynn, Dale Murphy, Willie Randolph and Frank White. Other first-time eligibles who did not appear on the ballot include manager Lou Piniella and umpire Ed Montague. In all, the three managers being inducted oversaw at least 34 players who've been implicated as PED users and never noticed a thing wrong. You could build a wing with the admitted and suspected drug cheats they won with: A-Rod, Roger Clemens (Torre), Jason Giambi, Jose Canseco (Torre and La Russa), Mark McGwire (La Russa), Melky Cabrera (Torre and Cox), David Justice (Torre and Cox), Andy Pettitte (Torre), Manny Ramirez (Torre with the Dodgers) and [Gary] Sheffield (Torre and Cox). If we get really lucky, maybe disgraced HGH pitcher Darren Holmes will show up. He played under all three of them! It's just another year in the Hall of Farce, where the codes of conduct shift like beach sand; where the rules for one set of men are ignored for another; where PED poppers can never enter, but the men who turned their backs to the cheating get gleaming, bronze plaques. . . . But for the expansion error committee to let these three managers in — unanimously, no less — after winning hundreds of games with better chemistry is the gold standard of double standards. In July 2016, the Hall announced major changes to its era-based committees, replacing the then-current three voting bodies with four new committees. The era covered by the Expansion Era Committee will now be served by two new panels—the Modern Baseball and Today's Game Committees, respectively covering the 1970–1987 and post-1987 eras. Each new committee will meet twice in a 5-year cycle. The three nominees for the 2014 award, selected by a BBWAA committee, were announced at the BBWAA's annual All-Star Game meeting on July 16, 2013. They were Roger Angell, longtime essayist for The New Yorker; the late Furman Bisher, longtime columnist for the Atlanta Journal-Constitution; and Mel Durslag, former columnist for the Los Angeles Herald Examiner. Under BBWAA rules, the winner was to be announced either during the 2013 World Series or at the 2013 winter meetings; in recent years, the announcement has been made at the winter meetings. On December 10, the Hall announced Angell as the recipient. He received 258 votes from a total of 451 ballots, including four blanks. Bisher received 115 votes and Durslag 74. Angell, who was 93 at the time of announcement, is the first Spink Award recipient to have never been a member of the BBWAA; according to the Hall, the group "limits its membership to writers covering Major League Baseball for daily newspapers, wire services and some Internet outlets." However, the award is not restricted to BBWAA members, and Angell was nominated by the group's San Francisco Bay Area chapter. Angell has written about baseball for The New Yorker for over 50 years, and many of his essays for the magazine have been reprinted in several best-selling books spanning four decades. The Ford C. Frick Award, honoring excellence in baseball broadcasting, has been presented at the induction ceremonies since 1978. Through 2010, it had been presented at the main induction ceremony, but is now awarded at the Awards Presentation. Recipients are not members of the Hall of Fame but are permanently recognized in an exhibit at the museum. To be eligible, an active or retired broadcaster must have a minimum of 10 years of continuous major league broadcast service with a ball club, a network, or a combination of the two. The honor is based on four criteria: longevity; continuity with a club; honors, including national assignments such as the World Series and All-Star Games; and popularity with fans. The recipient was announced during the 2013 winter meetings on December 11, following a vote by a 20-member committee composed of the living recipients along with broadcasting historians and columnists. "High Tide Era" — Mid-1980s to present, including the rise of regional cable networks. Individuals from this era were considered for the 2014 award. "Living Room Era" — Mid-1950s to early 1980s, including the rise of television. Individuals from this era were later considered for the 2015 award. "Broadcasting Dawn Era" — 1920s to early 1950s, including the early radio broadcasters. Individuals from this era were later considered for the 2016 award. Also, the committee that selects the final recipient no longer has a role in determining any of the finalists. In previous years, the selection committee also chose seven of the 10 finalists, but that role has now been given to a Hall of Fame research committee. Ten finalists from the "High Tide Era" were announced on October 2, 2013. In accord with the new guidelines, seven were chosen by a Hall of Fame research committee. Three were selected from a list of candidates by fan voting at the Hall's Facebook page from September 9 to September 30. All finalists except King were living when the ballot was announced; the only living finalist who was not active was Van Wieren (who would die six days after the induction ceremony). On December 11, Nadel was announced as the recipient. 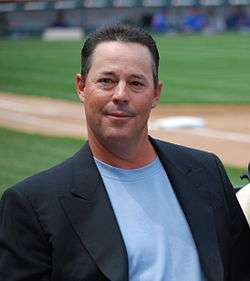 He has been a radio broadcaster for the Texas Rangers since 1979. and has been the team's lead radio voice since 1985. Nadel became the first broadcaster associated primarily with the Rangers to receive the award. As with the media awards, recipients are not members of the Hall of Fame but are permanently recognized by the Hall. In this case, the recipients are listed alongside a life-size statue of O'Neil that stands at the entrance to the museum. Written nominations for the award are accepted by mail at any time; the nomination must specifically state how the nominee meets the traits exemplified by O'Neil. On December 4, 2013, the Hall announced that Joe Garagiola would be the 2014 recipient. Garagiola, a former player and broadcaster who received the Frick Award in 1991, is a founder of two organizations that, according to the Hall, "impact baseball in a positive manner"—the Baseball Assistance Team, which has distributed over $28 million in grants to needy members of the professional baseball community since the organization's formation in 1986, and the National Spit Tobacco Education Program, devoted to education on the dangers of smokeless tobacco. 1 2 3 4 "Twelve Finalists Comprise Expansion Era Ballot For Hall of Fame Consideration in 2014" (Press release). National Baseball Hall of Fame and Museum. November 4, 2013. Retrieved November 6, 2013. ↑ "Hall of Fame Board of Directors Restructures Procedures for Consideration of Managers, Umpires, Executives and Long-Retired Players" (Press release). National Baseball Hall of Fame and Museum. July 26, 2010. Retrieved January 15, 2011. 1 2 3 4 5 "Rules for Election for Managers, Umpires, Executives and Players for Expansion Era Candidates to the National Baseball Hall of Fame". National Baseball Hall of Fame and Museum. Archived from the original on January 11, 2013. Retrieved January 10, 2013. 1 2 3 4 "Torre, La Russa, Cox to Cooperstown". ESPN. Retrieved 2013-12-09. 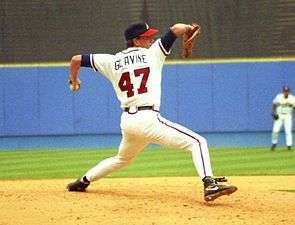 1 2 "Maddux, Glavine, Thomas to HOF". ESPN. January 8, 2014. 1 2 "Joe Garagiola Named Buck O'Neil Award Winner" (Press release). National Baseball Hall of Fame and Museum. December 4, 2013. Retrieved December 10, 2013. ↑ "Hall of Fame Introduces Saturday Awards Presentation to Induction Weekend Lineup" (Press release). National Baseball Hall of Fame and Museum. December 14, 2010. Retrieved January 15, 2011. ↑ "2014 Hall of Fame Ballot Out Today" (Press release). National Baseball Hall of Fame and Museum. November 26, 2013. Retrieved November 26, 2013. 1 2 Kerl, Jonah (January 9, 2014). "Craig Biggio, Blank Ballots, and the Deeply Flawed Hall of Fame Voting Process". The Triangle. Grantland.com. Retrieved January 9, 2014. ↑ Caple, Jim (December 22, 2010). "The Hall of Fame ballot runneth over". Page 2. ESPN.com. Retrieved January 15, 2011. 1 2 Caple, Jim (January 4, 2013). "Too many good Hall candidates for limit". Page 2. ESPN.com. Retrieved January 9, 2013. ↑ "McGwire apologizes to La Russa, Selig". ESPN.com. January 12, 2010. Retrieved January 17, 2011. ↑ Crasnick, Jerry (December 29, 2010). "Jeff Bagwell tires of steroids talk". ESPN.com. Retrieved January 15, 2011. ↑ Kurkjian, Tim (December 28, 2010). "Controversy follows Rafael Palmeiro". ESPN The Magazine. Retrieved January 15, 2011. ↑ Stark, Jayson (January 9, 2014). "It's a Hall of Fame day". ESPN.com. Retrieved January 9, 2014. ↑ Lipsyte, Robert (January 17, 2014). "Lessons learned from Dan Le Batard caper". ESPN.com. Archived from the original on January 17, 2014. ↑ "Cox, La Russa, Torre elected to Hall of Fame". National Baseball Hall of Fame and Museum. December 9, 2013. 1 2 Reilly, Rick (December 12, 2013). "Gilt by association". ESPN.com. Retrieved December 28, 2013. ↑ "Hall of Fame Makes Series of Announcements" (Press release). National Baseball Hall of Fame and Museum. July 23, 2016. Retrieved August 14, 2016. ↑ "J.G. Taylor Spink Award". baseball-almanac.com. Retrieved 2010-07-20. ↑ Baseball Writers Association of America (2009-12-08). "BBWAA Announces Bill Madden as 2010 Spink Award Winner". National Baseball Hall of Fame and Museum. Retrieved 2009-12-14. ↑ Rogers, Carroll (July 16, 2013). "AJC's Furman Bisher among Baseball Hall of Fame finalists". Atlanta Journal-Constitution. Retrieved July 22, 2013. ↑ "Roger Angell Wins Spink Award" (Press release). National Baseball Hall of Fame and Museum. December 10, 2013. Retrieved December 10, 2013. ↑ "Ford Frick Award". baseball-almanac.com. Retrieved 2010-07-20. 1 2 3 "2014 Ford C. Frick Award Ballot Finalized" (Press release). National Baseball Hall of Fame and Museum. October 2, 2013. Retrieved October 20, 2013. ↑ "Fan Voting for 2014 Frick Award Ballot Concludes Monday at Hall of Fame's Facebook Page" (Press release). September 25, 2013. Retrieved October 20, 2013. ↑ "Eric Nadel Named 2014 Ford C. Frick Award Winner for Broadcasting Excellence" (Press release). December 11, 2013. Retrieved December 12, 2013.